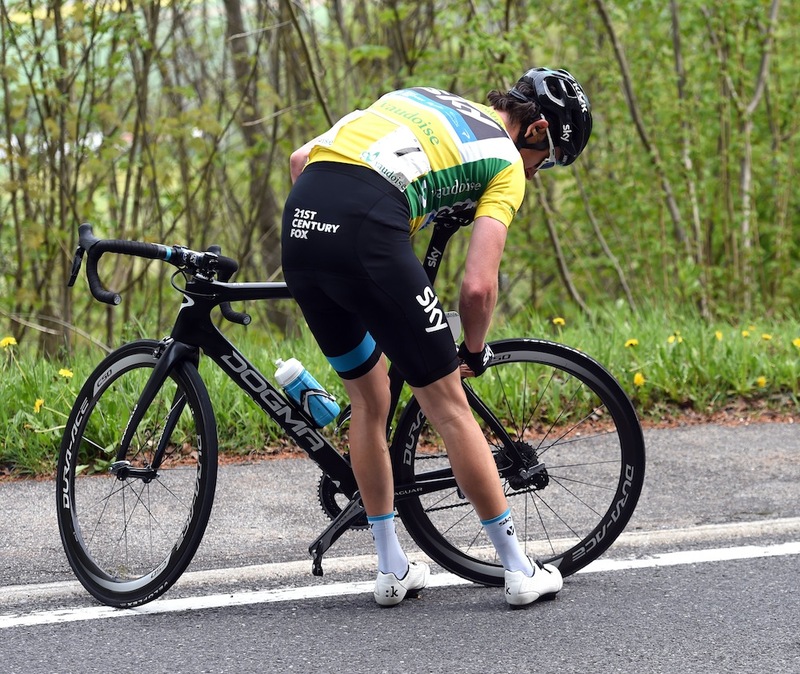 Britain’s Geraint Thomas (Team Sky) lost his overall lead in the 2015 Tour de Romandie on just the second day after a puncture on the final category two climb of the day left him finishing over four minutes behind stage winner Michael Albasini (Orica-GreenEdge). It means the Swiss now takes over the GC lead, having had the same time as Thomas after the team time trial on Tuesday’s first stage. Albasini claimed his sprint win from a reduced bunch, which formed after the final ascent of four categorised climbs on the route took its toll and split the peloton. 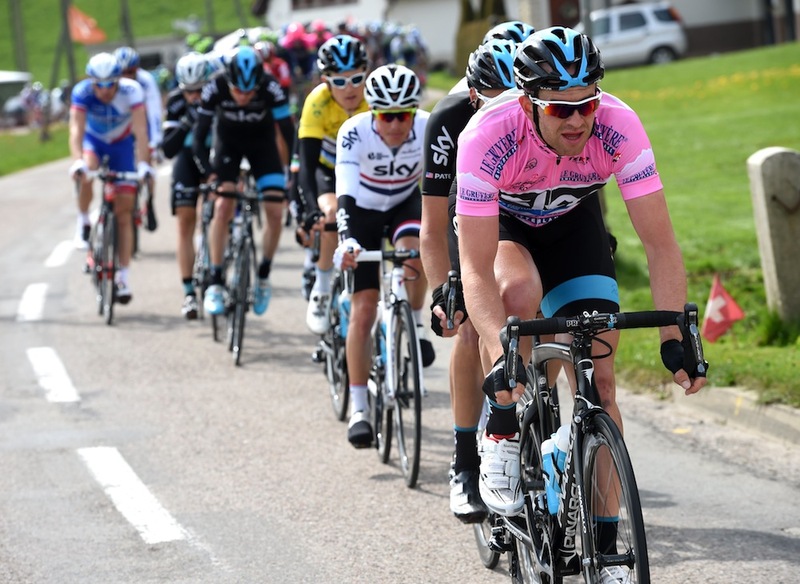 Gaps also formed as the tempo was pushed by the likes of Tony Martin (Etixx – Quick-Step) on the descent into the finish in Saint-Imier, with Rein Taaramae (Astana) going solo before being caught with just under 4km remaining. Those attacks meant it was difficult for Welshman Thomas to find his way back, despite help from teammates Peter Kennaugh and Nicolas Roche. However team leader Chris Froome managed to stay with the front group, ending the day third in GC, 10 seconds behind Albasini who took a time bonus on the line. Britain’s Simon Yates (Orica-GreenEdge) sits in fourth place behind Froome, having also finished in the lead group, and will wear the young rider’s jersey on Thursday’s stage. Stage three will see another difficult hilly day for the riders, with four categorised climbs along the 172.5km route, including the category two Col de la Croix. It will be another fast finish though, with the ridrs descending into Porrentruy for the finish.